I am not an artist, but I have always wanted to be one. Since I was little, making beautiful things has been one of my life goals. Art does not come easy to me. As a child, my doodles did not look much different from random scratches on a paper. When I started classes with Ubrus, 1/3 of our lessons was art, specifically in drawing. “Ugh!” I thought. This is where my amazing lack of natural skill and talent is going to show itself. However, I underestimated Jelena, our art teacher. For the first few weeks, we did intuitive drawing. 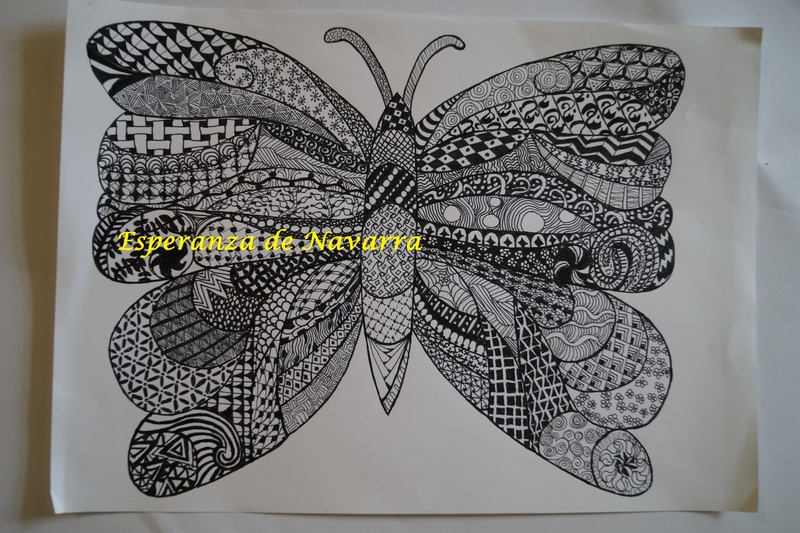 Popularly called zen doodling now, it is a way to free your mind of preconceived notions about drawing. We learned to take simple shapes and build on them to create texture in our drawings. I started to look at everything as a potential for a design. As I look around my room now, from the texture patterns on my walls to the way the doorknob looks from this angle can all be turned into a doodle pattern. Although I had seen books at the grocery check-out on this type of drawing, I did not know how truly fun and liberating it could be. One of the first concepts I had to rid my mind of was “originality.” I find myself often striving to create something completely unique that I frighten myself and end up not creating anything. 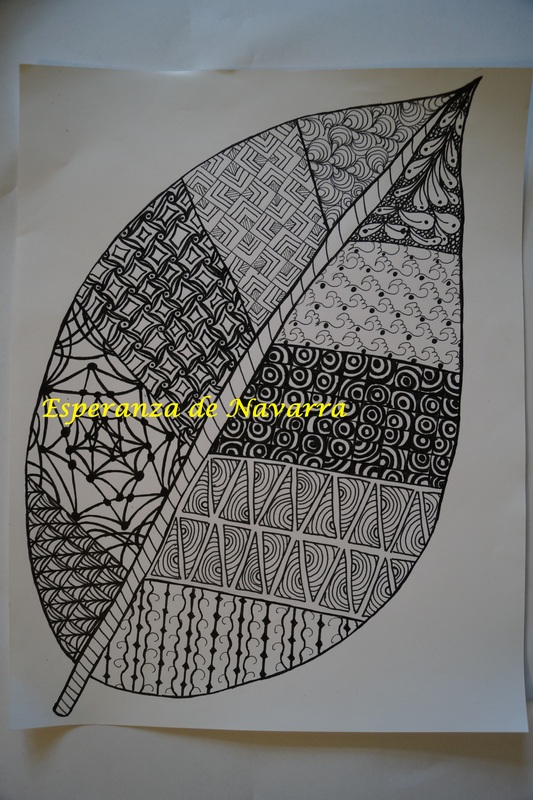 With our intuitive drawing exercises, we were encouraged to look up the many patterns others have created. Putting pencil or pen to paper was more important than coming up with our own design. At first I thought we were encouraged mainly to get us to do something. Doing something is better than doing nothing. As I learned more about Russian art, I came to realize that their artwork, then and now, is steeped in tradition. The difficulty is to perfect your ability to do the craft, not to create new approaches. Such a simple thought can change so many other thoughts. The more I drew, the easier and better it became. I began to see that my lack of natural skill did not matter. Maybe I will never be a famous artist, but who cares! I was having fun and making pretty things – my lifelong goal. Yes, my work was still sloppy, but if I could see myself improving in such a short time, then I knew that I COULD improve. It was then, while browsing through pictures of Russian goldwork, that I saw something that made the intuitive drawings even more relevant – the fill-in of the goldwork. 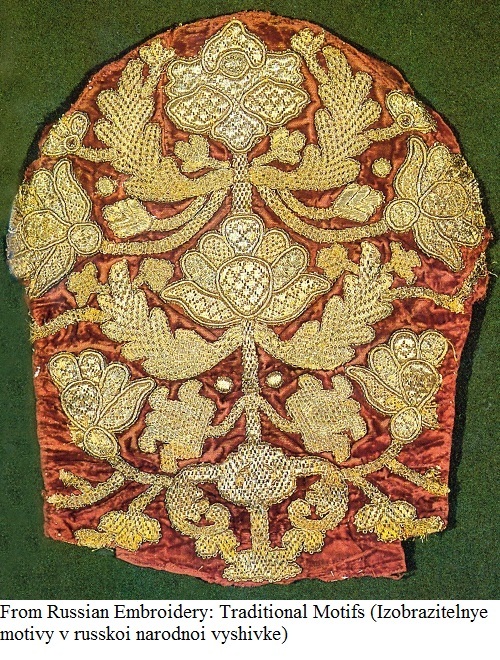 Traditional Russian goldwork is not flat. Going back centuries, we can see the same patterns that fill in our doodling designs in the gold thread. I encourage everyone to pick up pencil and paper and try this method of intuitive drawing. Only by learning to see the curves and patterns and shapes of the world around us can we improve the way we create art. Go out and draw something! !